​Coventry striker Yakubu took some pelters over the weekend after a video emerged of the striker apparently making no effort during his side's 3-1 defeat to Swindon. But the video is not all that it seems. The truth is that the Nigerian had actually suffered a hamstring injury, but could not be replaced because Coventry has used their three substitutes. In fact, the injury is so serious that the Coventry medical staff believe that he will be out for the remainder of the season. 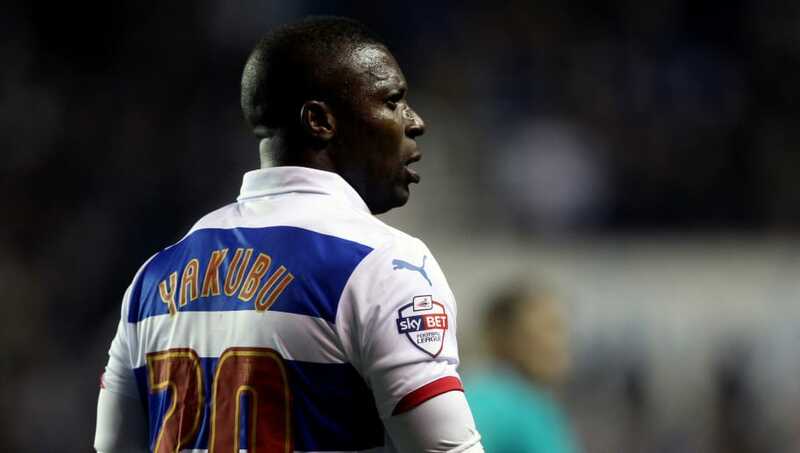 Yakubu pulled up just after assisting George Thomas to score a late consolation goal. The centre-forward was incapacitated for the final few minutes of the match. But the Sky Blues season ticket holder who posted the video said there are questions to be asked about the incident after he posted the footage online which was then shared by thousands of people. The fan then went on to question why the new striker was even left on the pitch when he was clearly so badly injured. After sharing the video on Twitter, Mr Joiner said: “This video brings up certain questions. It appears he is injured. Why did the lack of a proper warm up have a negative effect?" “With us trailing by three and then two in stoppage time, what was the benefit of keeping him on the pitch? Wouldn't that hamper his recovery too?" “We had used all three subs but he was trying to avoid the ball. If he was injured there are some big issues here". The striker signed a short-term contract earlier this month. He will undergo a scan which will reveal the extent of the injury that could potentially bring an early end to his season.